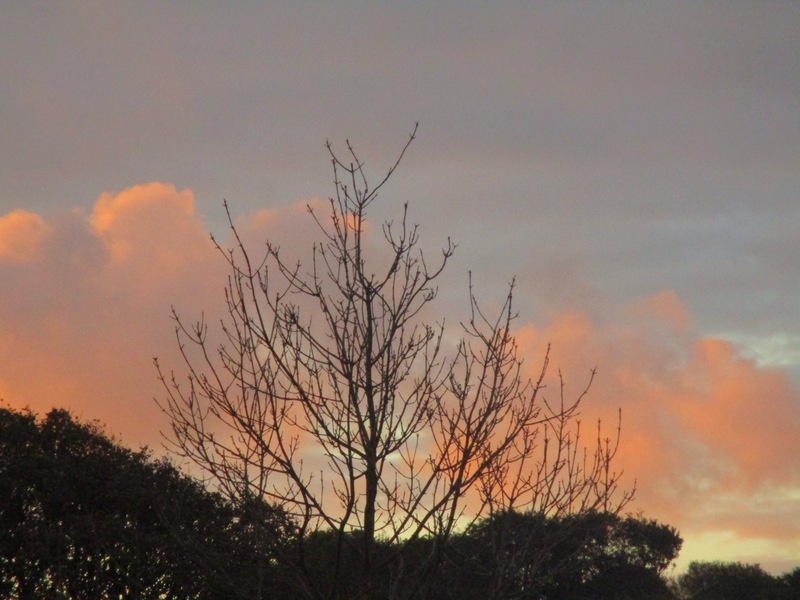 Waking up too early, I was lucky enough to catch a lovely dawn sky. 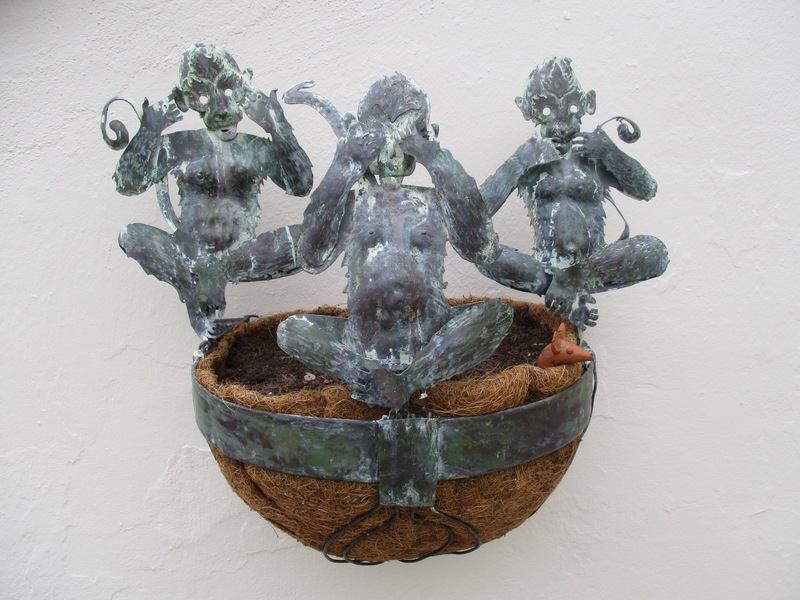 I have painted the small wall near the kitchen over the last couple of days and today we have put back the Three Wise Monkeys which I planted up with little Spring flowers the other day. I tried to clean the copper monkeys to make them shine again. As you can see, neither the copper cleaner nor the lemon juice worked bit we rather like the effect that has been left. 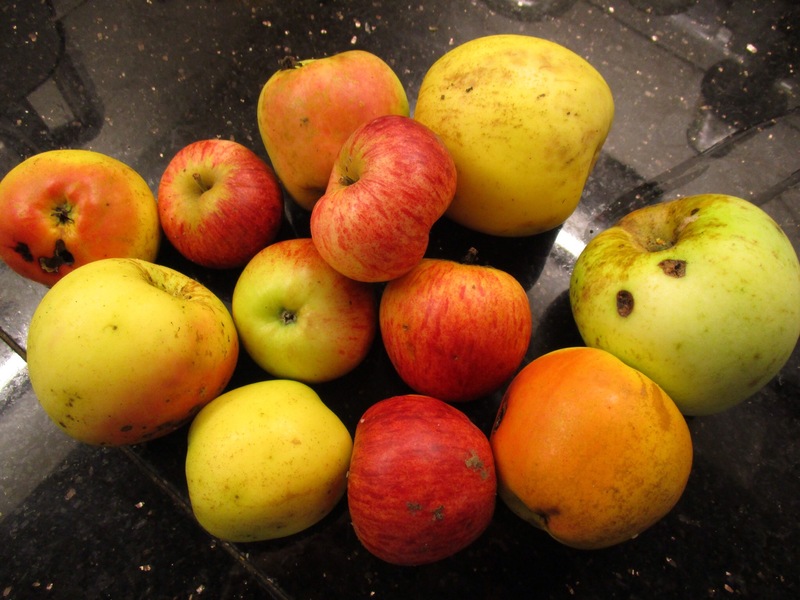 My lovely neighbour and I did a little scrumping today! Now I can make an almost free Blackberry and Apple crumble, having gathered the blackberries the other day. Blackberries and applies with a sweet crumbly topping! Who could ask for anything more. Love the monkeys! Indeed! Just like we had with you! I used your special crumble topping. Vinegar and salt solution. Google for recipe if you wish. If your monkeys are copper, their surface should be sparkling after bathing. If memory serves me. A small batch is one table spoon of salt to a half cup of vinegar. Adjust the ratio to make enough solution to cover your Monkeys. A glass container is better though plastic will suffice but enameled or metal containers should be avoided.